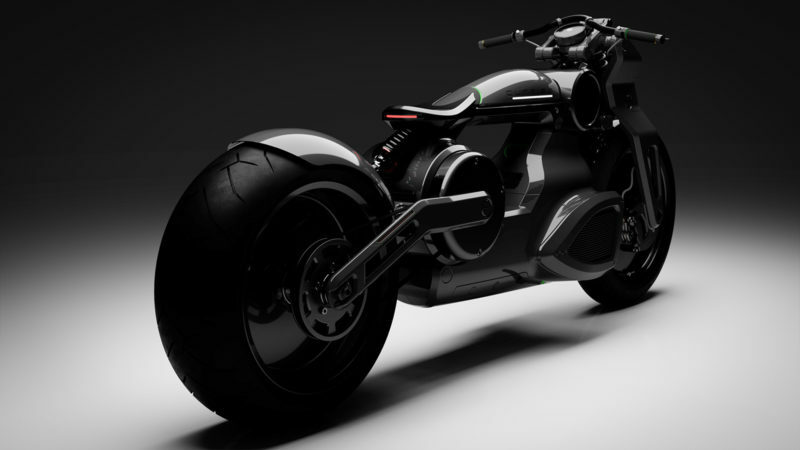 Although with decidedly futuristic aesthetics, this extremely streamlined aluminum frame electric bike is not a concept. 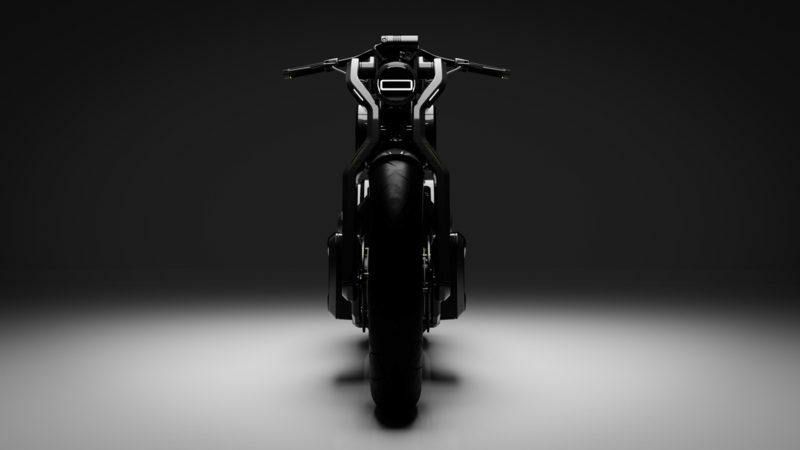 Originally established as a gas-powered motorcycle company, Curtiss has traded its traditional v-twins for electric engines and battery packs. And from the look of its first few electric concept vehicles, the change was certainly for the better. 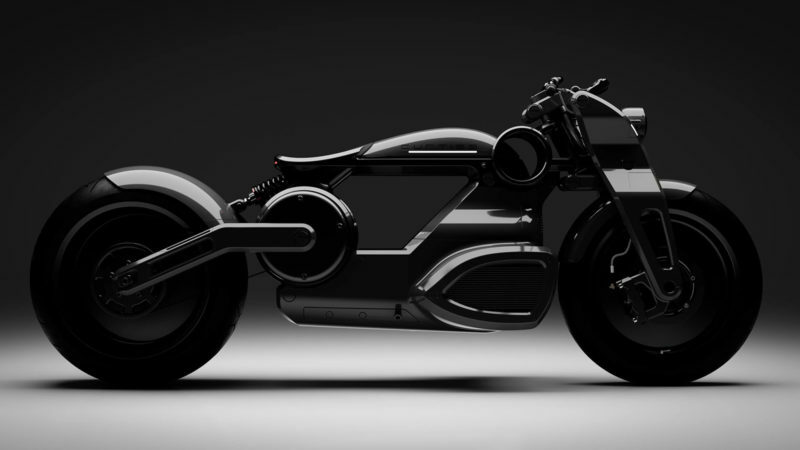 Although its decidedly futuristic aesthetics screams “concept,” the Zeus Bobber is ready for full production. A masterpiece in monochromatic jet black, this bike features an incredibly streamlined aluminum frame and striking solid carbon fiber wheels. 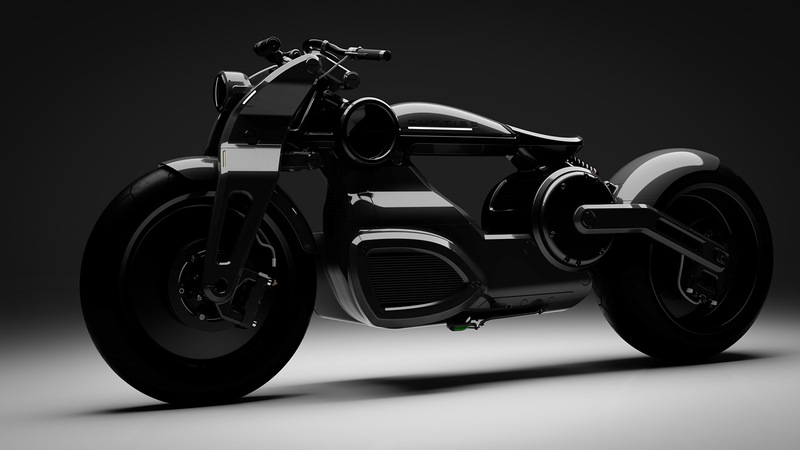 And the Zeus promises to ride as great as it looks. Capable of traveling 280 miles on a single charge, it produces 190 horsepower to rocket from 0 to 62 mph in just 2.1 seconds. Offering amazing versatility, the suspension of the Zeus can be adjusted to meet road or track needs. 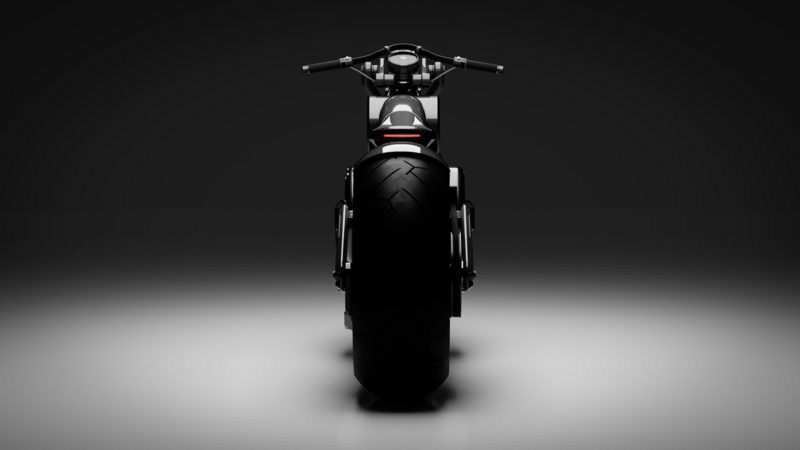 But you’ll have to wait a while to get your hands on one, because the first Zeus Bobber will come off the production line sometime in 2020.